The government confirmed its decision on the establishment and development of the Hőgyes-Schöpf-Merei Pharmaceutical Research Centre. 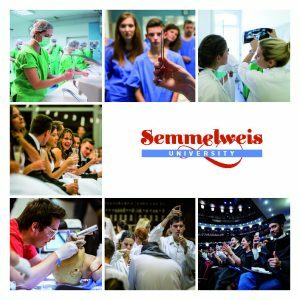 The objective of Semmelweis University is to create a modern research centre and a pharmacy campus by 2021, spanning twenty thousand square meters. The previous decision by the government concerning the development of Semmelweis University included the modernization of the Faculty of Pharmacy at the end of 2017. Accordingly, in the spring of 2018, some of the former Schöpf-Merei Hospital properties were already under the management of the university. The 1606/2018 report of the Hungarian Gazette published on 27 November elaborated on the governmental decision defining the measures that will be taken in the IX. district, where former Hospital operations will become state-owned property, and then fall under Semmelweis University’s property management. The aim of Semmelweis University is to develop a modern medical care and support centre for the furthering of pharmaceutical education, innovative research and pharmacovigilance as well as the cultivation of the domestic pharmaceutical industry by combining the former Schöpf-Merei Hospital property and the existing Hőgyes block of the adjacent faculty of Pharmacy. The project will span about twenty thousand square meters. By creating an environment similar to that seen in the pharmaceutical industry, and in public and hospital pharmacies alike, we can open new perspectives in university-based research and pharmacy training – said University Rector Dr. Béla Merkely. The rector added that the development also serves the purpose of bringing the presently fragmented Faculty of Pharmacy buildings together in one, centralized place, establishing a faculty campus where training conditions for advanced graduate and postgraduate education programmes are also being created. Research in the new centre will deal with the development of innovative, patient-oriented nanotechnology in pharmaceutical products, active biological ingredients and the utilization of artificial intelligence in pharmaceutical medicine. As a result of the investment, a new pharmaceutical drug development molecular bank is being created, as well as a national phytochemistry laboratory for the research on medically active substances of natural origin.